The Michigan Promise represents our commitment to creating a culture in which diversity is imbedded into our professional lives as surgeons, educators, and investigators. 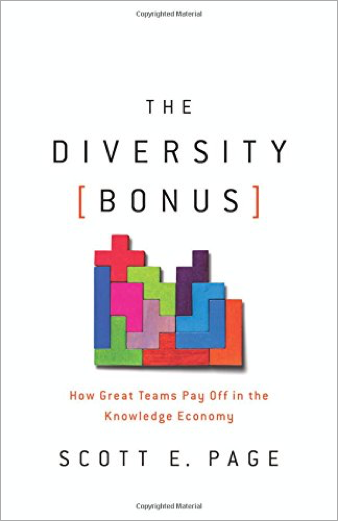 Scott Page’s recent book The Diversity Bonus presents compelling evidence that diversity yields immense benefits for teams working in complex systems. The practice of surgery is undoubtedly that, a highly complex coordination of a team of individuals executing tasks marked by risk, unpredictability, emotion, stress, and reward. Without diversity, surgeons cannot realize their full potential. However, realizing diversity bonuses requires more than meeting external metrics. Instead, cognitive diversity represents the unique perspectives, attitudes, and beliefs that are shaped by our interactions, relationships, and identities throughout our lives – and the key to achieving diversity bonuses. To recognize opportunities to enhance diversity in our environment we need to think differently. Between difficult surgical cases, late call nights, busy clinic days, conferences and conference calls, and, of course, the omnipresent din of electronic alerts from text messages, pagers, emails, and tweets, it is easy to rely on what is familiar. And easier still to lean on our intuitional and unconscious biases when considering the next decision, conflict, or opportunity. 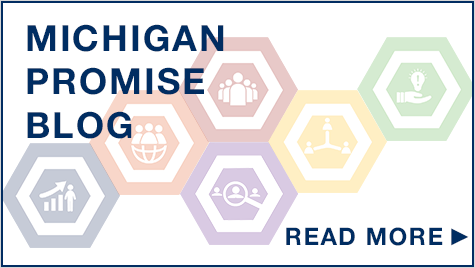 The Michigan Promise represents our commitment to creating a culture in which diversity is imbedded into our professional lives as surgeons, educators, and investigators. In 2017, we embraced three active strategies to enhance our consciousness of the diversity around us and opportunities to enrich our Department. Here is an example familiar to all surgeons. The weekly morbidity and mortality conferences are a glimpse into the soul of our Department of Surgery. Traditionally moderated by the senior faculty members, this conference lays bare the execution, decision making, and outcomes of surgical cases that fall short. The conclusion of the discussion often provides education, sometimes commiseration, but always a judgement as to how the surgeon could have performed better. In this conference, the moderator of the discussion serves a powerful and very visible role expressing the clinical values of the Department. This year, the D&C conference was reorganized so that equal numbers of female and male faculty members served as moderator in order provide balance and to empower women faculty members. All humans rely on patterns and the familiar. For example, in the workplace, if we are considering an individual or an opportunity, we are much more likely to lean on our close social networks which often are similar to us. Although such strategies can provide immediate, but temporary, comfort, they do not provide growth nor diversity bonuses. 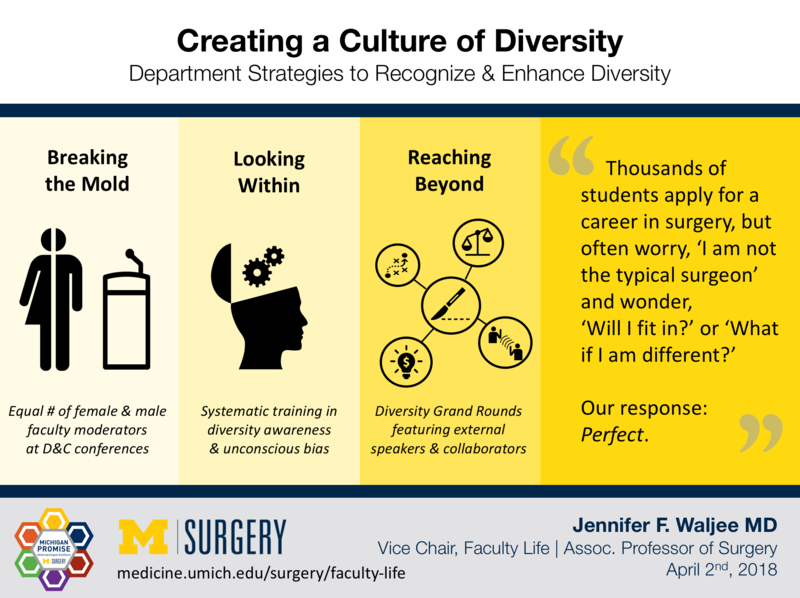 In the fall of 2017, the entire Department of Surgery participated in the Strategies and Tactics for Recruiting to Improve Diversity and Excellence (STRIDE) workshops offered on campus in order to enhance our awareness of unconscious bias and develop standardized processes and metrics for recruitment. These efforts will allow us to overcome our blind spots and identify the best and brightest individuals to join our team. More than 300 faculty members, house staff and employees of the Department of Surgery participating in STRIDE training. Although surgeons have years of clinical training and expertise as it pertains to surgery, our knowledge of how to build and change organizational culture and climate is lacking. To fill these gaps in knowledge, we have created a Diversity Grand Rounds series to invite experts in the social sciences, clinical sciences, and industry to educate us and collaborate with us on key topics. In January 2017, Dr. Scott Page, Professor of Complex Systems at the University of Michigan shared his work examining empiric models of organizational diversity. In May 2018, Dr. Marc Nivet, Executive Vice President for Institutional Advancement at UT Southwestern will present his perspectives on community engagement, diversity, and health equity in medical education. In September 2018, Dr. Caprice Greenberg, past president of the Association for Academic Surgery and Professor and Morgridge Distinguished Chair in Health Services Research, will present her reflections on gender equity in academic surgery. Each year, we are delighted that students are interested in joining us in a career in surgery. We value the unique perspectives and enthusiasm that each of these individuals bring, and we believe it is these differences in our experiences, paths, beliefs, and cultures that will allow us to achieve our fullest potential. Thousands of students apply for a career in surgery, but often worry “I am not the typical surgeon” and wonder “Will I fit in?” “What if I am different?” Our response: Perfect.